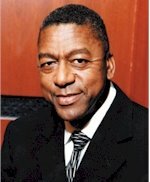 Robert L. Johnson, the cable pioneer who founded Black Entertainment Television 25 years ago and sold it for $3 billion in 2000 to Viacom, has formed a film studio with independent producers Harvey and Bob Weinstein. Johnson's Our Stories Films will produce family-friendly features about African Americans that will be distributed in theaters by the Dimension Films unit of Weinstein Co., which will be part-owner of the venture. New York bank J.P. Morgan Chase has agreed to raise up to $175 million to fund the company. With Weinstein's Dimension Films as a distribution partner, Johnson is partnering with one of the most successful marketers of low-budget films to young audiences. Dimension is known for producing highly profitable horror, comedy and action films such as the "Scream" franchise, as well as "Spy Kids" and "Bad Santa."